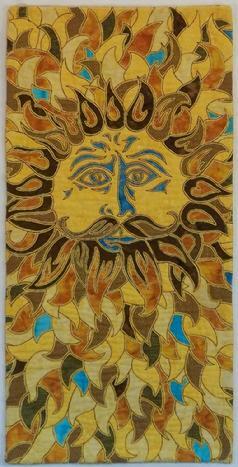 Selected as a semifinalist for the 2013 AQS International Quilt Show & Contest in Des Moines, Iowa. 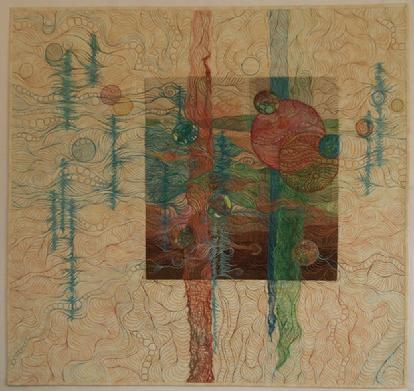 This original design was stitched through eleven layers of fabric. 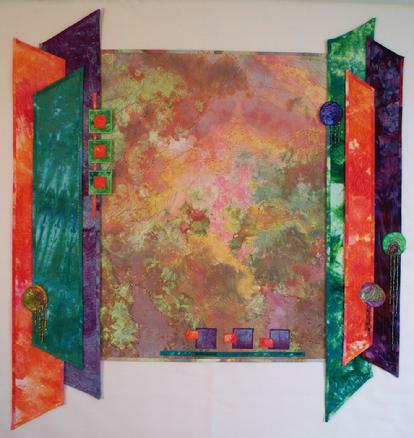 Using reverse applique, the individual sections were then cut away to provide the different colors of the image. 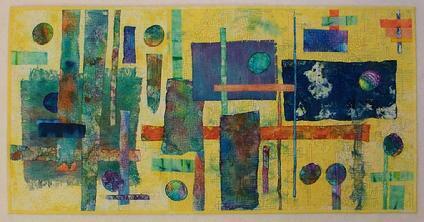 This was created as a color challenge with the Central Iowa Textile Artists. 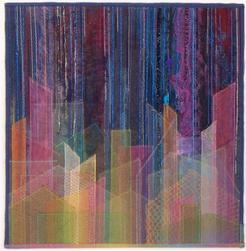 Whole cloth quilt with raw edge applique and thread-painted with rayon and polyester threads. 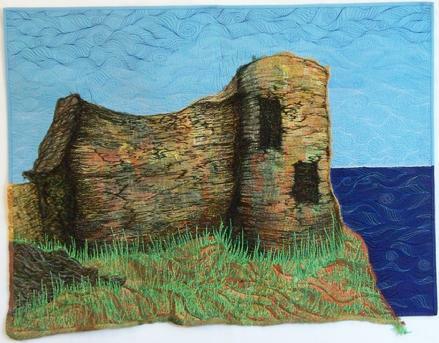 Tintagel Castle Ruins was created by layering hand painted gauze and threadpainting with cotton, rayon and polyester threads. 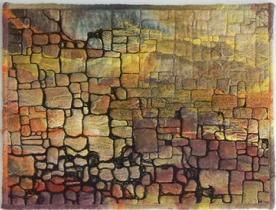 Selected as a semifinalist for the 2012 AQS International Quilt Show & Contest in Des Moines, Iowa. 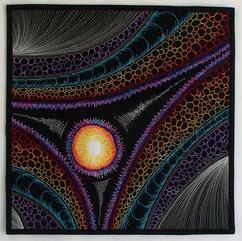 Hand dyed gauze fabric thread-painted with black rayon thread. Layered sheer fabrics, tulle and hand-dyed gauze, couched yarns and threads. 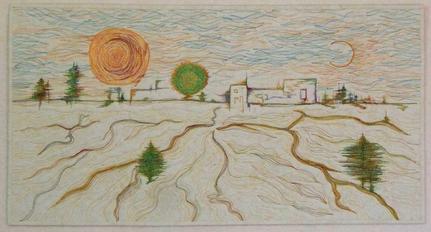 Selected as a semifinalist for the 2011 AQS International Quilt Show & Contest in Des Moines, Iowa. Made of snow-dyed fabrics and embellished with hand-painted cotton and beads. Made of hand-dyed cotton fabrics, batting, burlap and gauze. All images and text are copyright Wendy Read, and may not be reproduced without written consent.